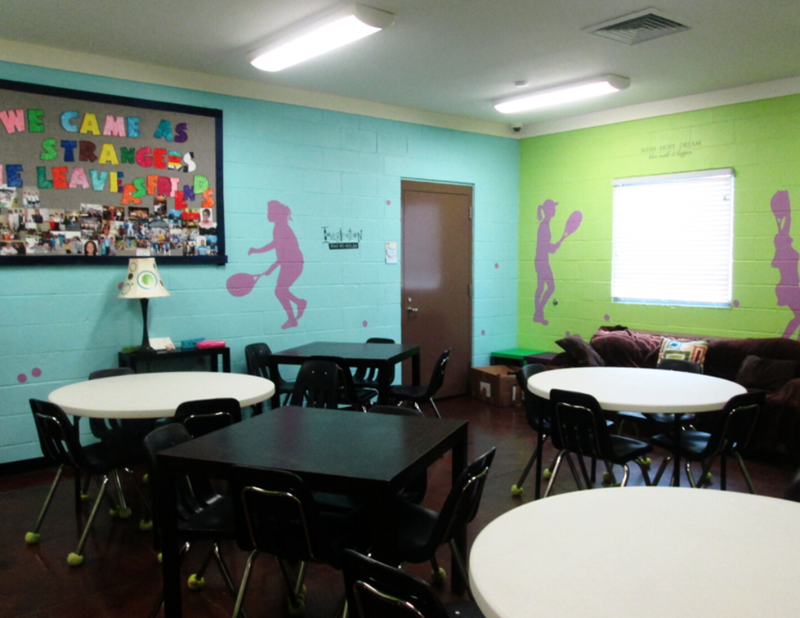 In May 2008, the MaliVai Washington Youth Center opened its doors at 6th and Payne Streets in the historic Durkeeville neighborhood of Jacksonville, FL. This $3.8 million facility has allowed MWYF to expand its impact and serve more children and families in this economically depressed area. Interested in a behind the scenes look at our facility? Check our calendar for upcoming tour dates. The center features a multimedia room, community room, four classrooms, teen room, fitness room, locker rooms and office space for MWYF staff. 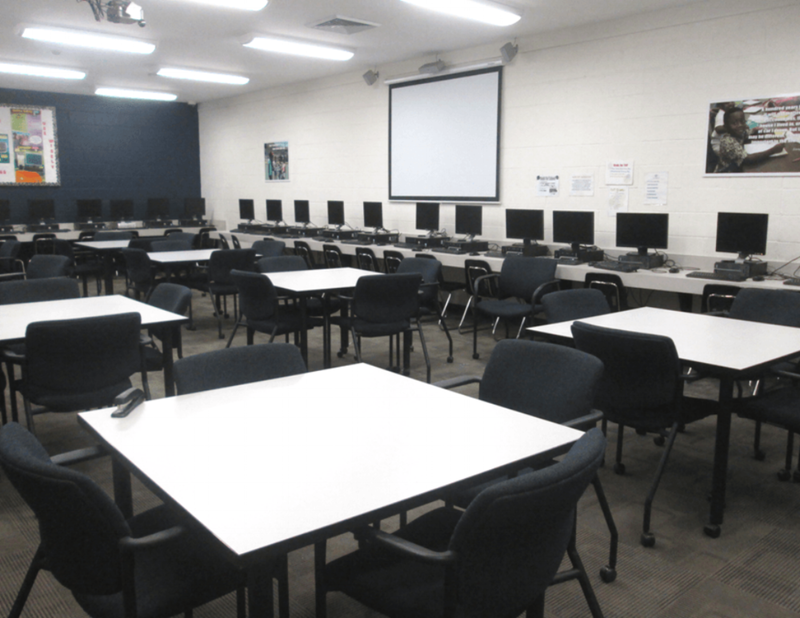 The Multimedia Room includes a computer lab with 30 computers, an audio visual area and a comprehensive library with more than 1000 books and movies, including reference books and a career/college preparatory corner. 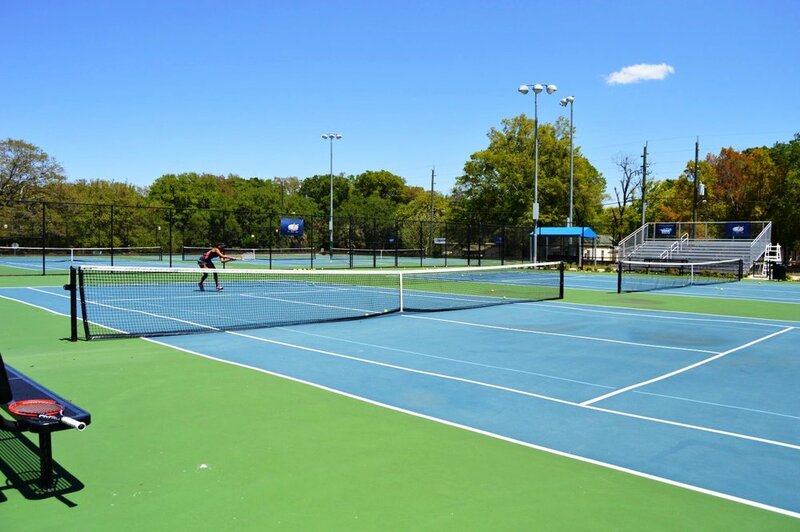 The recreation facility features eight lighted tennis courts (including a center court with grandstand), three mini courts and an activity court. In addition to the TnT Program, additional recreational programs held at the center include play days, community clinics, exhibitions, high school matches, tournaments and more.